It’s said to have a sweet smell, or a gasoline-like odor. It’s mostly in the air, and sometime in the water and soil. It’s found all around the world. It’s in cigarette smoke and gasoline vapors. It’s a known human carcinogen – a substance known to cause cancer. It’s benzene. Its target organ is the bone marrow, the soft spongy tissue that lies within the hollow interior of long bones and produces all types of blood cells. For more than a century, it has been known that excessive exposure to benzene damages the bone marrow, resulting in aplastic anemia, a blood disorder in which the body’s bone marrow doesn’t make enough new blood cells (aplastic anemia is also called bone marrow failure). During the last few decades, it has become clear that long-term exposure to benzene can also cause leukemias and lymphomas. 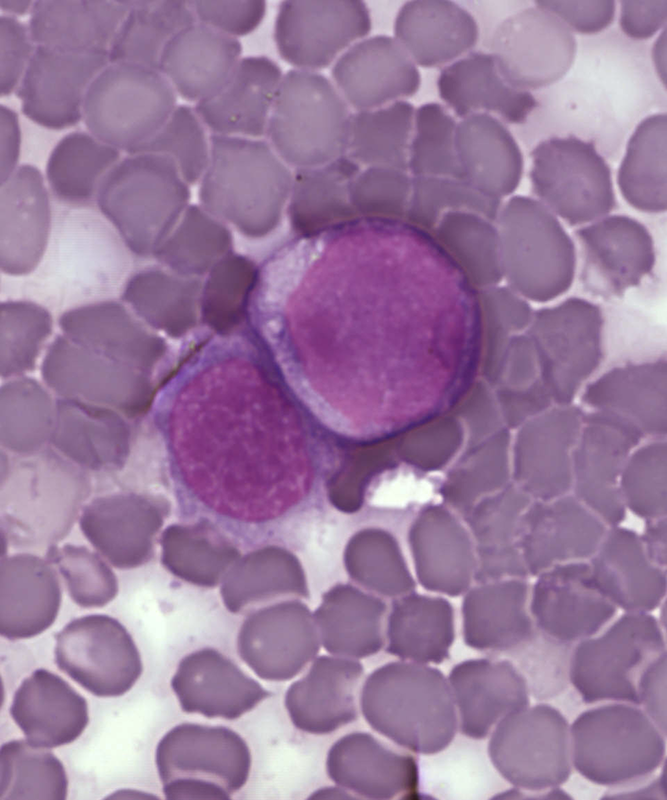 Leukemias are a group of cancers of the blood-forming cells. Large numbers of abnormal blood-forming cells are produced in the bone marrow. From there, the abnormal cells go into the bloodstream and spread to other parts of the body. Lymphomas are cancers in which lymphocytes (cells that destroy infectious microorganisms) become abnormal – similarly to leukemias, they grow and multiply uncontrollably. There are many types of leukemias and lymphomas. A few days ago (July 29, 2013), a new study on benzene and its association to lymphomas was published on line in Cancer, a peer-reviewed journal of the American Cancer Society. Results from the study show that the incidence of non-Hodgkin lymphoma is significantly higher in regions near facilities that release benzene into the environment. Non-Hodgkin lymphomas include a large variety of lymphomas, as for example chronic lymphocytic leukemia, which is listed in the Benzene TEACH Chemical Summary. For the study published in Cancer, the researchers used publicly available data from the EPA and the U.S. Census Bureau to analyze the geographic patterns of non-Hodgkin lymphoma cases in the state of Georgia (USA) between 1999 and 2008. This group examined the associations between new cases of lymphoma and the locations of facilities—such as petroleum refineries and manufacturing plants—that released benzene into the surrounding air or water. The group found that, in areas located around benzene-release sites, the incidence of non-Hodgkin lymphoma was significantly greater than expected. These sites were mostly located in the metropolitan Atlanta area. The risk of non-Hodgkin lymphoma decreased as the distance from benzene-release sites increased (for every additional mile of distance, there was a 0.31 percent decrease in the risk of non-Hodgkin lymphoma). The investigators hope that their results will inform the public about the potential risks of living near facilities that release carcinogens into the air, groundwater, or soil. In the mean time, let’s not forget that tobacco smoke is a major source of indoor exposure to benzene. I find it interesting how we are exposed to benzene on a daily basis. I would expect more regulations to be placed on companies and more awareness for the general public. Most people do not know that Benzene causes a low white blood cell count, which can lower the body’s ability to fight infections and may even be life-threatening. An article showed that the EPA limits concentrations of benzene in drinking water to 5 ppb (parts per billion). Likewise, the US Food and Drug Administration (FDA) set a limit of 5 ppb in bottled water. When you think about the amount of water we consume on daily (average person 8-8oz cup a day and most food we eat is prepared and cleaned with water). Reading your comment is when I feel a little safer living in the United States. Luckily, we have such as a the EPA that is able to regulate the amount of toxic substances we ingest. It is also interesting to note that the US makes it easy for consumers to contact their water utility as well as a hotline to determine whether the amount of benzene being ingested is at a safe level. Do you know of other countries that have similar guidelines in place? Is this chemical considered a Benzene? Alkyl (C12-16) dimethylbenzylammonium chloride has a benzene ring in it, but it is not considered a benzene. We should take into account that benzene is not only in the air. It can be introduced into water by industrial efﬂuents and atmospheric pollution and can therefore contaminate the water supply. A few years ago, it was found that Families in Nisisioken Ogale, near a Nigerian National Petroleum Company pipeline, were drinking water from wells contaminated with benzene at levels over 900 times above the guidelines of the World Health Organization. Hopefully, something is being done now to give these families clean water. It is so scaring that we are all exposed to this horrible carcinogen. The good thing is that we are able to excrete unmetabolized benzene by exhalation and metabolized benzene in urine. However, the bad news is that the excretion process is not very efficient, so there are still some reactive metabolites remaining in our body. It is these reactive metabolites that cause both cancer and noncancer effects. Benzene metabolism is assumed to take place primarily in liver and secondarily in the bone marrow, and the major metabolite target is the bone marrow. Phenolic metabolites (phenol, hydroquinone, catechol, 1,2,4-benzenetriol, and 1,2- and 1,4-benzoquinone) are believed to contribute to benzene toxicity in the bone marrow (Toxicological profile for benzene. U.S. Department of Health and Human Services Public Health Service Agency for Toxic Substances and Disease Registry). These highly reactive benzene metabolites can cause damage to DNA and DNA associated proteins (Eur J Haematol Suppl 60:107-110, 1996; Environ Health Perspect 104:1219-1225, 1996). Damage to hematopoietic stem cells or progenitor cells (the most important cell types in the bone marrow which can differentiate into all types of blood cells) would finally lead to pathological changes, or even result in non-cancer and cancer diseases. This post about toxic metabolites of benzene made me curious as to how these would specifically change immune responses in the body. It appears that toxic metabolites use various mechanisms within the human body in order to induce hematotoxicity (toxic effects observed in blood cells). There are studies underway to look at the several types of mechanisms by which this is done including alternations made to the DNA, RNA, and proteins of an individual. Research of this type (http://www.ncbi.nlm.nih.gov/pmc/articles/PMC2846187/) is an example of what is called toxicogenomics. Toxicogenomics refers to a study that determines how toxicity of a harmful agent (in the case the carcinogenic benzene) may result in modified genes that would later lead to changes in the DNA, RNA, and protein production. A study of this may prove to be beneficial in determining exactly how the toxic benzene metabolites lead to leukemia. Hopefully, these studies can result in effective treatments towards leukemia as well as the other diseases caused by benzene toxicity.